UPDATE! (June 27) The city of Eau Claire will have an additional six months to come up with a plan to buy back a historic steam locomotive from a Duluth museum and return it to Eau Claire. The Eau Claire City Council voted 7-1 on June 26 to seek a six-month extension on its option to repurchase Soo Line No. 2719. Now, Councilmen Dave Strobel and Jeremy Gragert will explore the logistics and cost of relocating the locomotive and report back to the City Council in September. The Eau Claire City Council could exercise its option to buy a 95-year-old steam locomotive from a Duluth museum as early as this summer, bringing the historic engine back to the city after a decade-plus absence. The City Council will take public comment Monday evening on the resolution, which is sponsored by Council members Dave Strobel and Jeremy Gragert. The council is scheduled to vote on the resolution at its Tuesday afternoon legislative meeting. According to city documents, it would cost an estimated $31,000 to move the train from Duluth to Eau Claire (this would be done on a flatbed rail car) and another $59,500 to built a shelter to protect it and tracks to place it on. 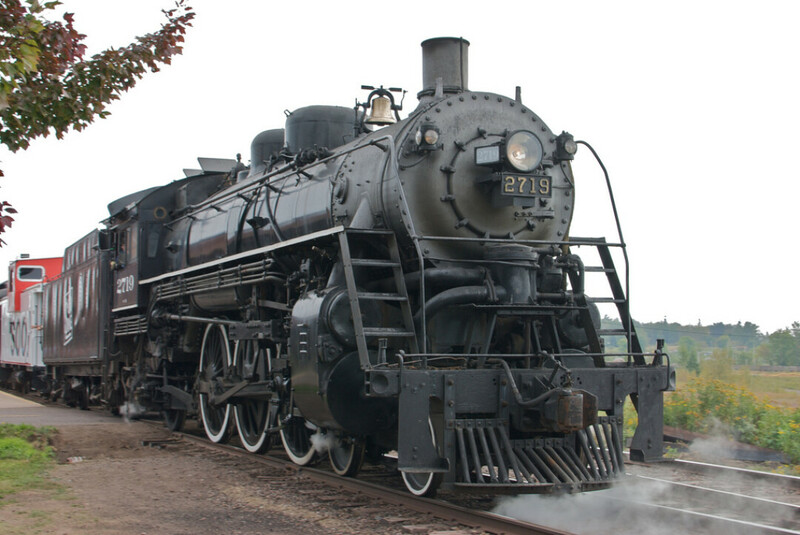 The 2719 was built in 1923 and pulled passenger trains between Minneapolis and Chicago until the late 1950s (it was the last steam train to run on the Soo Line). The coal-powered, half-million-pound engine is considered historic: It is listed on both the state and national Registers of Historic places. The engine was on display in Carson Park from 1960 to 1996, when it was sold to the Locomotive & Tower Preservation Fund, a private group which raised money to restore it and ran it as an excursion train until the early 2000s. It was later leased to the Lake Superior Railroad Museum in Duluth, which also ran it as an excursion train until a few years ago, when it was sidelined because of the need for repairs. In 2015, the city exercised its first right of refusal and bought the locomotive for $1 from the Locomotive & Tower Preservation Fund. At the time, Strobel had hoped the City Council would opt to bring the locomotive to Eau Claire. Instead, the council turned around and sold it to the Duluth museum for $2. However, the sale included a clause that the city of Eau Claire could buy back the train within three years. That window will close on July 28. Under the resolution the City Council will consider Tuesday, the city will seek an extension of the right to purchase the locomotive until Feb. 1, with an additional 120 days to move the locomotive from the museum. If the Duluth museum won’t agree to the extension, the city will purchase the locomotive immediately. Strobel said he’d prefer the former happened, since it would allow time to form a plan to move and house the locomotive locally. In fact, if the City Council approves the deal, Strobel and Gragert will explore the logistics and cost of relocating the locomotive and report back in September. Strobel isn’t sure if the City Council will approve the resolution, but if they do he hopes the train will return to Eau Claire, perhaps to find a home downtown. He said the cost to move and maintain the train could be covered by the city and private donors. And if the city doesn’t want the train, he added, perhaps a nearby community would. Want to add your 2 cents to the discussion about the future of Soo Line No. 2719? The Eau Claire City Council will hold a public hearing at its meeting at 7pm Monday, June 25, at City Hall. The council will vote on the resolution at its legislative session at 4pm Tuesday, June 26.